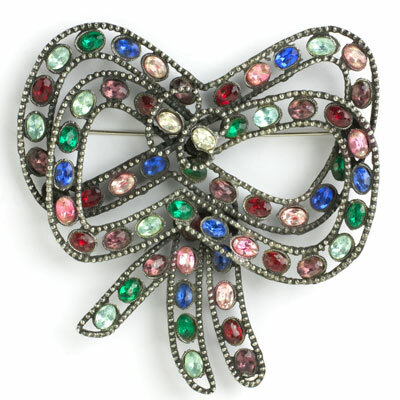 This vintage bow brooch by Reinad is colorful and sassy. 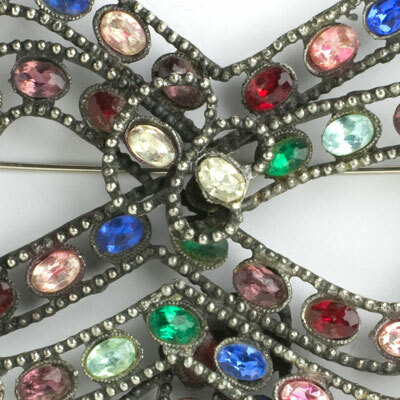 It features faceted, oval-glass stones in every gemstone color: amethyst, emerald, ruby, sapphire, peridot, citrine, diamanté, and pink tourmaline. Each stone is set in its own silver-tone cup. The cups all sit inside the two rows of silver-tone rope that form each bow. 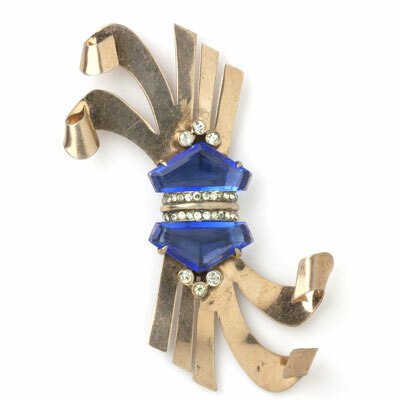 Not for the faint-hearted, this statement piece goes with everything! 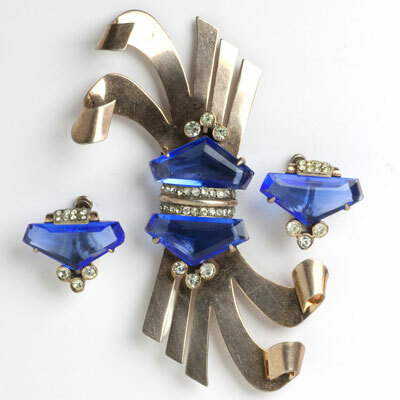 Reinad had a short production period, and their pieces are hard to find.